I'm probably not qualified to write this review. But then again, I totally am. Either which way, I'm going to do it. I was asked if I wanted to read an advanced copy of What Did You Expect? 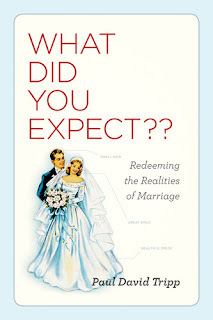 : Redeeming the Realities of Marriage , by Paul David Tripp and published by Crossway Books. Um, yes please? This is probably one of the best books I've said "yes" to when it comes to reviewing. If I were in the habit of giving away 5 stars around these parts, I'd give this one 1,000. Even then, that would not be enough stars to rate this book because it was absolutely awesome in every single way. Before Jonathan and I got married we read a ton of marriage books. If the title or the subject matter had anything to do with the mere idea of being married then you can probably assume we read it. We also went through months of premarital counseling, watched video series, listened to audio series and tried to learn as much as we could as we entered into this holy state. We also fought talked incessantly about our expectations and opinions of how the other person "should be" behaving and what we expected our relationship to look like in 1 year, 5 and 10 years down the road. Since that time we've actually been married. Our original expectations of who we were and expected to be aren't quite the same as they once were. Are you married? Pick up a copy of this book. If you're married, you need it. Why do I think this book is the best I've ever read on the topic? Where do I even begin? Let me put it this way - Paul David Tripp is realistic. He's not here to tell married couples (or those considering becoming so) that 'love is all' anyone needs. He refers to soon-to-be-weds as being in a state of romantic delirium, full of unrealistic but happy-ish thoughts about what marriage is. He has noticed that as soon as the "honeymoon" is over and people get on about their daily lives - they have some adjustments to make. Suddenly you discover that you didn't marry the person that you thought you did. Oh, not to say your mate is evil. He's not saying that at all! He's just making the case that we're each sinful and once you enter into the marriage state, you have not only your own sins to deal with (which are suddenly magnified by 1,000) but you have your own sins to deal with. Wait! What? Yeah. You heard correctly. Tripp is here to tell you that you are a sinner. He recommends not even beginning to look in your spouse's direction. 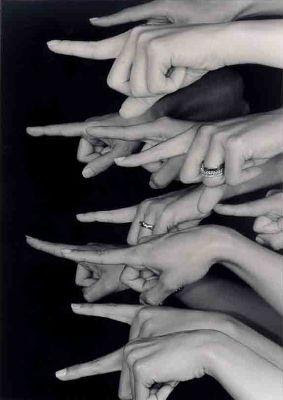 We like to place the blame on other people whenever possible. 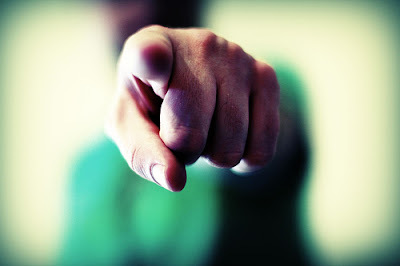 "Never take personal responsibility" is frequently our motto whether we realize it or not, right? It's pathetic when you think about it! We're oafs when we do that. Point that finger at the person who is really causing the problem. That's right! Tripp says that the person who is causing the problems in your marriage is none other than the blessed you. The sooner we are open to examining our own behaviors, and setting pride aside to address our own sin issues, the sooner our marriage will be repaired and restored. Tripp further says that the thing to do is not necessarily to "learn how to love your spouse" (like so many other marriage books that we read!) but "learn how to love God." This entire book is essentially based on the concept that in order to love your spouse, you must first learn to love God - to worship Him. Tripp maintains that if you fail to learn how to love and worship God as the Creator of Marriage, you will never learn how to effectively love your spouse. When couples get married, they seem to be focused on the fact that life is now suddenly all about their new loving partnership. He is so awesome. She is beautiful. He is so charming. She is so generous. He is so smart. She is so patient. Our eyes are focused on the external and the temporary (in so many ways) that we kinda forget to look up in order to establish this new romantic relationship in way that will foster growth between the couple for the long haul that is apparently marriage. Most Christians, having heard the instruction to "love God and by doing so, you'll learn to love your spouse" will nod their heads in agreement. I would have to agree that the statement sounds "simplistic" on its face. But my heart leaped when I read these words because of the deeper truth - the war on worship, and the war on individual marriages is very real. And if we, as Christians, realized this, maybe we would learn to stay alert and fight harder for that 'which God has joined together' (both for our own marriages and for others'.) Instead, we married couples tend to feel 'hard pressed on every side' - even by those who profess love for us! But as Tripp points out, because we are so different we will experience different trials and need to be alert as marriage units as to what threats come into the individualized relationship and threaten to destroy or weaken it. Let me put this very bluntly: my top priority as Jonathan's wife is to serve God and when I do that I will be learning to serving Jonathan well. The same is true for him. If something or someone threatens to step into our marriage and harm it, we should be vigilant to step up and say, "We cannot allow this in." As Tripp also points out, good marriages don't happen by accident. Good marriages happen as a result of hard work. I walked away from this book affirmed and encouraged that fighting for my marriage and my relationship with Jonathan is the best thing I could possibly do in my lifetime and doing so isn't something I should be made to feel like I should have to apologize for. I promised to be married to him. I promised to love him. I promised to care for him. I promised to work with him to build a relationship that would stand before God. Our priority is therefore bound up in this new relationship - this idea that Jonathan and Carrie would come together and become one - a new unit and identity that is different than any other. I closed this book feeling encouraged and refreshed. I'm excited about it! (Can you tell?) I think What Did You Expect? knocks the socks off of other books on marriage because it tells couples these days what they need to hear. That is? Laziness will destroy your marriage. It WILL be attacked (by society or maybe even those 'closer to home') and your job as one of the partners in the marriage is to stand firm in favor of the union, honoring God by honoring what He's called you to. Jonathan here with an extra note... I was going to write more of my thoughts, but after reading Carrie's review she's said almost everything on my mind! One thing that really did stand out to me while reading this book was that it seems to have grown out of a desire to communicate "what people really need to learn from premarital counseling." However, I think people will be most able to really grasp these concepts after they've been married for a period of months or years, and can relate more directly to the examples being described. But Paul Tripp really hits the nail on the head with such a direct and powerful message, I believe that people incorporating the gospel into their marriages the way he describes can turn around even the most difficult of relationships. The book releases in April so it's not available just quite yet. However, if you would like to pre-order the book, you can take advantage of THIS PRE-ORDER SPECIAL offered by Crossway. If you order during the month of March (and are one of the first 1500 to do so!) then you will receive 35% off the cost (that's a better deal than Amazon, folks!). CLICK HERE to see the special. I DO hope you will choose to read this book because this is one of 'the greats' that I think is worth your time. Why is it worth your time? Because I think marriage is worth it. Mine and yours. THIS POST ORIGINALLY POSTED AS A GIVEAWAY BUT THE GIVEAWAY IS NOW CLOSED. I really want to read this book. I have receieved so many good insights on parenting from Tripp and look forward to hearing his suggestions on marriage. Carrie, I laughed when I saw this. Dr. Tripp is one of the pastors at my church. In fact not too longer ago he did a marriage seminar. I always liked his sermons. He's a straight talker. I want to read it! I want to read it! Pick me! I am always challenged by what the Tripp's write. I agree that most worthy marriage books are best read a few years into marriage and become all the more meaningful close to 20 years into the journey. Oh! Someone gave us this book on cd after we got married we haven't, um, listened to it yet. Your review has inspired me. I so need reminders like this about now. Count me in! My heart also breaks because of the marriages around us falling apart, especially those who married the same year as us...somehow it seems more personal. I'm married so I can of course use this book. We've read quite a few on marriage...but somehow, this book seems like it will be different. This book would be a great help to me. Thank you for the chance to win. The review was wonderful--I definitely want to win it/read it/buy it. Count me in! I love to read marriage books. I always learn something new and helpful which inspires me to be a better wife! I'm always game to read marrage books! This totally sounds like a book that we need! I currently came to the stark realization that my marriage was not/is not where it needs to be and we are striving to remedy that before it is too late. Thank you for this review - it's definitely a book that I want to get! I'm a fan of Crossway on Facebook. Did you know they posted a link to your review? How cool is that? sounds like a good book. Thanks. Your pictures -- one pointing forward, three pointing back at you. So whose to blame. Nice illustrations. This book sounds like an absolute winner of a read. One is never too old to change. Please enter me. Thank you! Sign me up! Sounds like a good read. I would LOVE to read this book. There have been marriages falling apart around us, too, and it is sobering. Add to that that I'm hardly the perfect wife (a-hem), and I'm sure I could greatly benefit from this. Ooh, I'd really like to read this. I'm getting married in July, so I've been slowly trying to accumulate a "must reads" list of books on marriage - and then start reading them! Anything by Paul Tripp is worth it! Please enter me, too. My marriage (well... I) need this book. Thanks for hosting this giveaaway. This sounds like something I would enjoy reading. Great review. I'd love to be entered. Well--I'd be stupid not to enter after that review, now wouldn't I?? Though you know I'm not married, I want to be, and I feel the more I learn about it now, the better off I'll be when it gets hard, right? I greatly respect Paul Tripp and look forward to reading this book...definitely interested in winning it, if possible! I'm intrigued. I've read more than my fair share of marriage books and after a while they all seem very similar. Sounds like this one has a different approach. Wow, what a review! Sounds like a book that even those of us 'old marrieds' (celebrating 19 years come May) could benefit from reading. I'm getting married soon so I know this would be a great book for me! P. D. Tripp is a great author. I have his book on parenting teens and it's excellent but squirmy. (in other words, it makes me squirm. V convicting!) I'd love to read his book on marriage. And Brooke! Lucky! What church do you go to? This looks like a book I could really use! I think there is probably a lot of valuable information in this book. Sounds fantastic. Please enter me. You can pick up the audio version of this book for $7.49 from now until July 2. There is also a video lecture series that was produced before the book that came out that is excellent. I'm sure it covers a lot of the same material, but if you're a hard-headed rock-brain like I am, it is good to hear things more than once. To hear things more than once. More than once. Right.